Atwater Place is a 23-story building perched on the banks of the Willamette River in Portland's South Waterfront District. The tower houses 244 condominium units and was designed by local architect and artist Thomas Hacker. Amenities include concierge service, community meeting room, outdoor plaza, luxury finishes and secured entries. 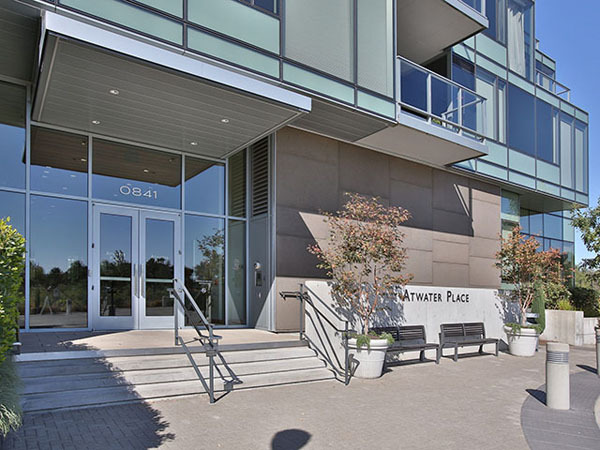 There are 10 listings found for Atwater Place. Pristine, light & bright one-bedroom, 1.5 bth unit in coveted Atwater Place with balcony view of Willamette River! Spacious Living Room, hardwoods, gourmet kitchen with high-end finishes and pantry, generous bedroom w/large walk-in closet and ensuite master bath, office with distinctive built-ins. Enjoy the luxury of Atwater & the best of South Waterfront with restaurants, river path, parks, OHSU, streetcar and comfortable lifestyle. Make the South Waterfront home just in time for summer! This 1 bed/1.1 bath condo in the coveted Atwater building has style, amenities & VIEWS! The SW exposure provides river, city & sunset views as well as AMAZING natural light. Enjoy all the views from the floor to ceiling windows & balcony. The kitchen is ideal for entertaining with a huge island & wine fridge. Concierge, parking & storage add to the ease & appeal of urban living! Fantastic 2 bedroom home in Atwater Place, with breathtaking city and river views. Open floor plan with floor-to-ceiling windows, spacious master suite, sleek and modern kitchen, spacious covered balcony with gas BBQ hook-up, and large utility room. Includes deeded parking space and large deeded storage unit. All conveniently located with all the beautiful South Waterfront has to offer!